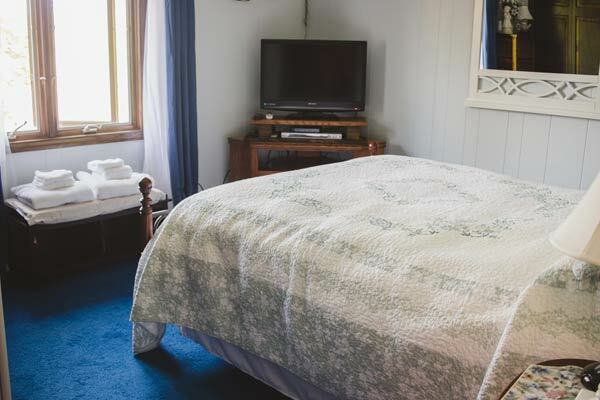 From your cheerful but restful room, you’ll enjoy the breath-taking scenic view of the marsh and naturally-preserved landscape bordering the Wild Goose State Trail. 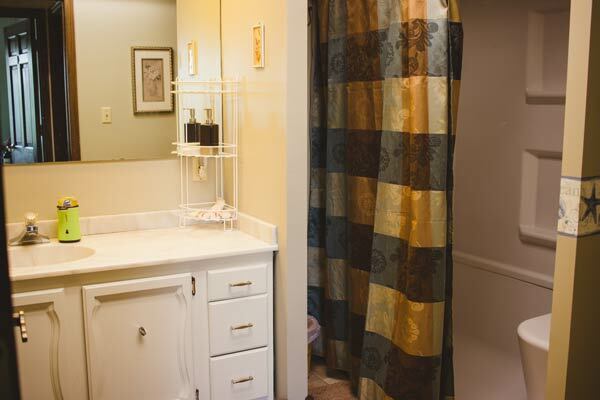 Conveniently adjacent to the upstairs shared bathroom with well-lit vanity, toilet and walk-in shower. You’ll unwind and relax on your queen-size bed with extra-thick pillow-top mattress and 900 thread-count bed linens with your choice of extra pillows of varying softness. Large closet and luggage stand, chest of drawers, night stands, clock radio, ice bucket and glasses with your choice of chilled beverage, full-length mirror, air conditioned, and flat-screen TV and more than 100 channels of DirecTV and a DVD player as well. Your room has been carefully appointed with your comfort in mind, stocked with cushy soft towels, robes and slippers.